Don't let the traditional facade of our historic hotel fool you, The Lafayette is a modern powerhouse for meetings and events. That includes our nine event venues. With 15,000 sq. feet of flexible meeting spaces, the latest A/V technology, helpful event planners, customized cuisine and whimsical décor, we've got the perfect spot for any corporate or social event. Soak up the retro vibes in our glamorous San Diego ballrooms. Entertain in our expressive outdoor courtyard. Get down to business in rooms meant to get the job done. This is SoCal gathering redefined. So join us and be yourself or re-invent a totally new you. 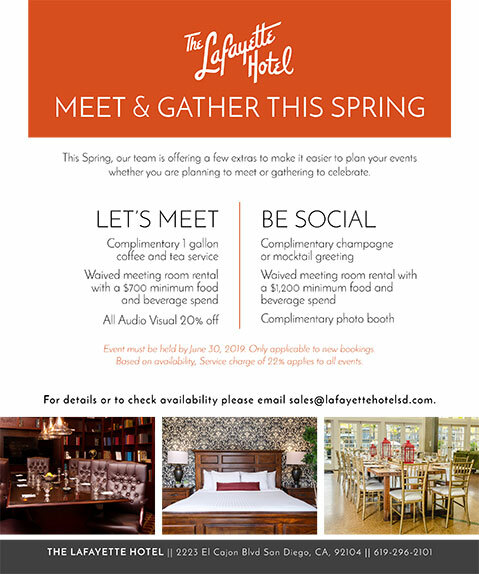 Because it is always about you at The Lafayette Hotel. Whether you're gathering for an important business meeting, a festive social gathering or something in between, The Lafayette Hotel has all the bases covered. 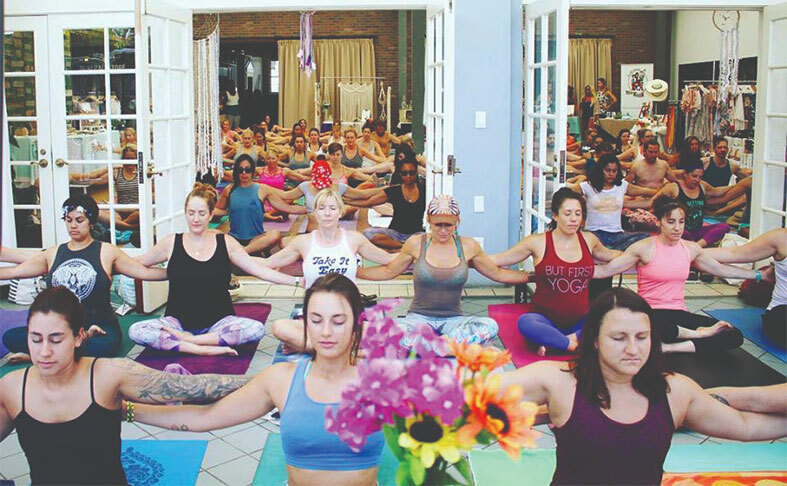 Take advantage of unique venues, each with their own personality. With the latest in A/V services, custom catering and modern decor, our meeting spaces offer everything you need. 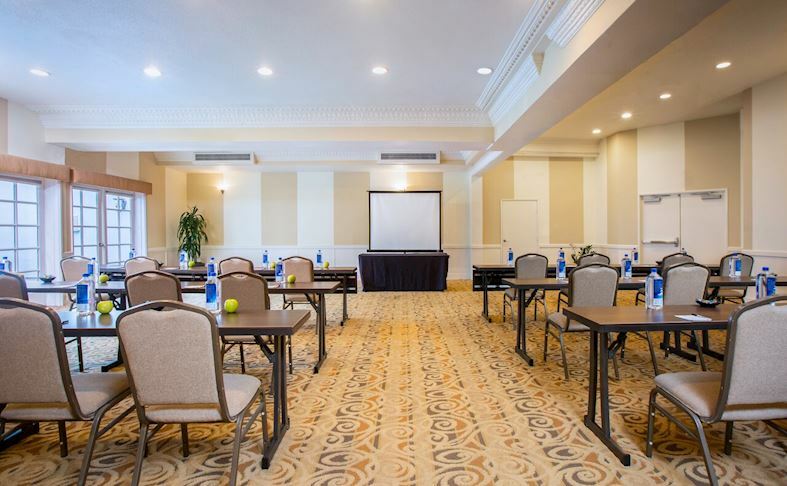 Host a conference surrounded by the retro glam elegance of our two spacious ballrooms. Choose, the whimsical fancy of our charming conservatory, or the relaxed ambiance of our poolside terrace. Whether you're building comradery, looking for a relaxing escape from the office, or simply want to create fun memories with your team, The Lafayette has the perfect team building activities for your group. We provide everything you need for a memorable event.